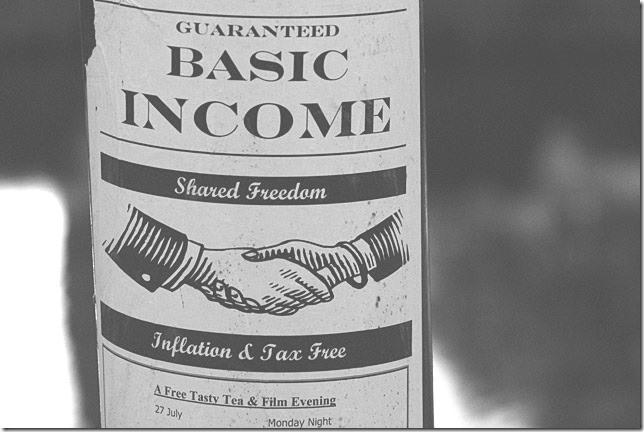 Back in 2013 I wrote my debut article endorsing a Basic Income. “Segal says the program would cost only $30 billion a year. A mere fraction of what the Canadian Government is currently spending on programs that fail at tackling the exact same issues. Clearly there is some overhead and waste in the current implementation of those programs, if one program can get the job done at far less than half of what is currently spent. By this logic, Current recipients of social assistance programs, at most are only taking in a fraction of $30 billion, as you’d have to assume at least some overhead is included in that figure. So where is the remaining 150 billion going? Not to the people that need it, that’s for sure. No matter how hard ‘the right’ fights to keep people poor, homeless or in their ‘private-for-profit’ prisons, This solution isn’t going away anytime soon.” Canada could eliminate Poverty and Homelessness overnight. But will they? Since then the discussions surrounding and budgets implementing a basic income have seemed to have taken the world by storm. Finance Minister Charles Sousa said the province will decide whether to make a basic income permanent on the basis of that pilot project, the Globe and Mail reported. On Feb. 16th 2016 The Independent reported: “The UK Labour Party is considering universal basic income as part of its new economic policy. John McDonnell, the shadow chancellor, said the Labour Party would not rule out unconditional pay for all members of society during a talk at the London School of Economics on Tuesday night. “It’s an idea we want to look at. Child benefit was a form of basic income so it’s not something that I would rule out,” he said. In January, Caroline Lucas MP called on the Government to commission research into the idea of paying all citizens a flat, unconditional income, which would likely come in place of existing social security measures like means tested benefits. On Feb 14th 2016 The Globe and Mail reported: “Quebec Premier Philippe Couillard says he’s “dead serious” about trying it, and last month appointed a cabinet committee to that end. It is presided by Labour Minister François Blais, a former Laval University political science professor who just happens to have written a book on minimum income programs. Last week, another Laval academic – Jean-Yves Duclos, a former economics professor who after his election last year became the federal Families, Children and Social Development Minister – says he too is willing to look at implementing it. On Jan 30th 2016 The Independent reported: “Switzerland is set to vote on a proposal that wants to pay everyone 2,500 Swiss francs (£1,700) a month regardless of whether people are working or not. If the plans go through, it will become the first country in the world to provide a basic unconditional monthly income, and they are already the first country to vote on the matter. On Oct 21st 2015, Finlands YLE Uutiset reported: “The Finnish Social Insurance Institution (Kela) will soon begin work on a presentation for basic income, regional news group Lännen Media reports. Once implemented, the model could revolutionise the Finnish social welfare system. If implemented, the so-called basic income would replace other benefits people currently receive, and would therefore be rather high, Kela’s Research Department Manager Olli Kangas told Lännen Media. On Oct 15th 2015 BasicIncome.org reported: “Political party PAN – Pessoas, Animais, Natureza – a minority party in Portugal since its inception in 2009, has increased its votes in the most recent general election (which was on the 4th of October) by 30% relative to 2011. This has allowed PAN to finally elect one congressman. This is of relevance, because PAN will be the first political party in Portugal defending the basic income concept with a seat on the Portuguese parliament. André Silva will be this congressman, who gave a short but hearty speech on the election night. PAN’s elected congressman manifests his availability to search for political stability in the country, establishing dialog with all the other political forces. On Oct 6th 2015 The Huffington Post reported: “Call it basic income, guaranteed annual income, negative income tax, or minimum income, it all essentially amounts to the same simple solution: eliminate poverty by giving people money. The idea — supported by 46 per cent of Canadians according to one poll — has boosters across the political spectrum because it not only helps people, it can also save money by reducing bureaucracy and poverty-related health care and criminal justice expenses. The Huffington Post Canada sat down with party leader Elizabeth May to discuss why providing a basic income to all Canadians would pay off for Canada. Tell me about the Green Party’s “guaranteed livable income”? On Sep 17th 2015 New Scientist reported: “Today, with the rise of machine-learning algorithms and advanced robotics, many of them have changed their view. It’s possible that within 20 years almost half of all jobs will be lost to machines forever, and nobody really knows how we are going to cope with that. Those who still adhere to technology’s power to create jobs fail to recognise the shift to a “superstar economy”, where a handful of companies disrupt markets, make billions and employ very few people, while the rest fight for the scraps. So how would the millions of telemarketers and taxi drivers, for example – whose jobs are at high risk of being automated – survive in this new landscape? One of the most interesting proposals, and one that does not live in the fanciful world of “the market will figure it out”, is the creation of an unconditional basic income (UBI). I will update this article with more 2016 references as they are reported and remaining 2015/2014 references I have missed.